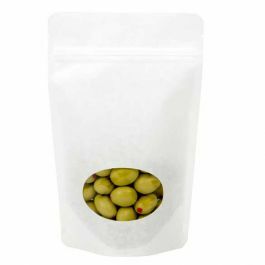 Our ZBGO7P stand up pouch sparkles in a pearl white color and has a clear oval window for an eye-catching display. 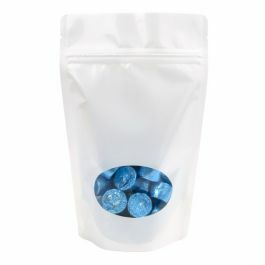 This self-supporting 5 7/8" x 3 1/2" x 9 1/8" pouch holds 6-11 oz/170-312 grams. 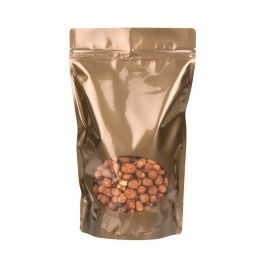 Fill this pouch with pasta, grains, coffee, chocolates, pretzels and other dry goods. The 4.7 mil pouch is laminated for extra strength and barrier. This item is currently sold with NO HANG HOLE. Due to popular demand, it will soon come stock with a round hang hole. Check this table to see when it will be available with the hang hole. 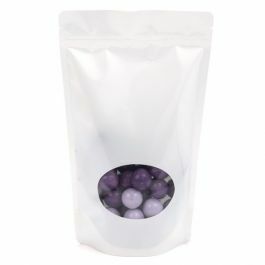 Show off your products in style with this pearl stand up zipper pouch with a clear oval window. 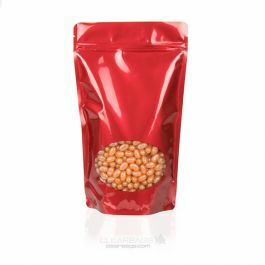 The ZBGO7P pouch measures 5 7/8" x 3 1/2" x 9 1/8" and holds 6-11 oz/170-312 grams (based on whole coffee beans). 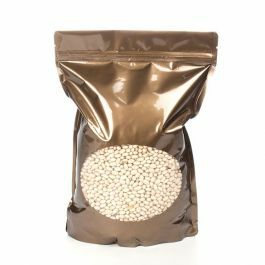 This self-supporting pouch is the perfect packaging solution for dry goods like coffee, pretzels, chocolates, mixes, pasta, grains, bath salts, and more. The material is a sturdy 4.7 mil thick and is laminated for extra strength and barrier to keep your products fresh in the retail setting. 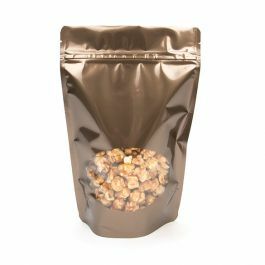 A reclosable zipper provides snacking convenience. 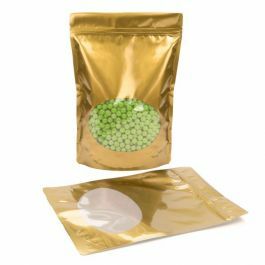 This pouch is food safe and heat sealable. Tear notches offer an easy opening when heat sealed. Outer Dimensions: 5 7/8" x 3 1/2" x 9 1/8"
Inner Dimensions: 5 7/16" x 3" x 7 1/4"